Today is the anniversary of the death of Bertha Krupp von Bohlen und Halbach (1957). 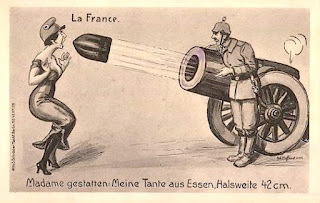 After Bertha Krupp’s father committed suicide in 1902, she became the sole inheritor of the most powerful armament and munitions empire in Germany, provided the moniker for some freakishly large artillery, and eventually saw her name attached to a munitions factory that employed and abused concentration camp inmates. Bertha Krupp was born in Essen, Germany, in 1886—home of her family’s steelworks since 1811. Her father, Friedrich “Fritz” Alfred Krupp, had successfully expanded the company into a world-class arms manufacturer and was creating cannons that used Alfred Nobel’s improved gunpowder (see Nobel Prize) by the turn of the twentieth century. Unfortunately, Fritz also seemed to have a penchant for young boys and was caught in a sordid scandal of alleged pederasty that landed his beleaguered wife in an insane asylum and caused his death (reportedly by stroke, but most believe by suicide) in 1902. The kaiser, Wilhelm II, decided that sixteen-year-old heiress Bertha could not possibly take over of one of Germany’s most important manufacturers, so he forced her to marry diplomat Gustav von Bohlen und Halbach, who assumed the name Krupp and administrative control of the company. Frau Bertha Krupp von Bohlen und Halbach proved to be more formidable than the kaiser (or her husband) anticipated, and she was instrumental in helping Gustav run the company. In 1914, the Krupp factory produced an extraordinary 420-millimeter, short-barreled and high-trajectory (howitzer) monstrosity. Its designers called it Dicke Bertha (Fat Bertha) in honor of the Krupp heiress and owner, and it wreaked havoc on French and Belgian forts during the early part of World War I. The original Fat Bertha paved the way for even larger and longer-ranged howitzers that were all generally dubbed “Big Berthas” by the Allied troops that suffered under their shells. The “Paris Gun” was one of the later Bertha types used to bombard the City of Light in 1918. Its shells weighed more than two hundred pounds and traveled so high (twenty-five miles) and so far (more than eighty miles) that gunners had to factor in the rotation of the Earth when making their trajectory calculations. Incredibly, the heavy howitzers of World War I are not even Bertha Krupp’s most notorious namesakes. By 1942, intense aerial attacks led the Third Reich to spread out its artillery production beyond the range of Allied bombers. The Krupp company opened a munitions plant in Markstädt (occupied Poland) and named it after its matriarch—the Berthawerk. Unfortunately, labor was scarce, so the Berthawerk used prisoners from the nearby Fünfteichen concentration camp for its frantic production. Bertha’s son Alfried eventually assumed control of the company, was indicted for crimes against humanity (for using and mistreating camp inmates), and was sentenced to twelve years in prison during the postwar Nuremberg trials. His conviction was overturned in 1951 by the U.S. high commissioner in Germany, in part because the United States believed it needed strong German industry to help Europe recover and stave off a new global threat—communism (see McCarthyism). As the mere heiress to the Krupp dynasty, Bertha was never accused of any wrongdoing. 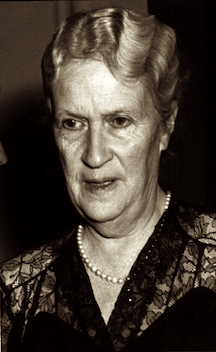 She was reunited with Alfried in 1951 and moved with him back to Essen, where she lived until her death in 1957.